People who have acquired the right legal advice from an experienced and committed ‘wills and trust’ attorney tend to lead happier lives. This is so because the preparation and execution of the transfer of whatever details are in those legal documents are handled by an expert and there is this confidence that comes with leaving your business in capable hands. Wherever you are in San Diego, CA, you can have easy access to first class legal services. Rawa Law Group is the place to look. Rawa Law Group is a superior legal company renowned all over California as one of the long-standing firms with some of the best attorneys in the state. 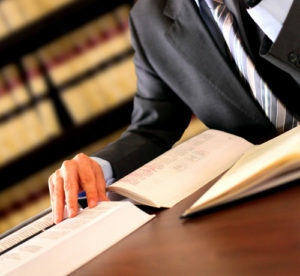 Our attorneys are highly experienced with more than 55 years in the practice of handling ‘wills and trust’ documents. We understand that the laws of each city are different and change from time to time, and that is why we ensure our attorneys are up-to-date with the most recent ideas. We also offer valuable legal counsel according to the laws of your city with the expectation that you’d adhere to them to avoid future issues involving estate taxes and a need to steer off probate procedures. Our services are tailored to suit your every need. So hiring us means you’re getting a personal one-on-one attention from one of our qualified attorneys. Our schedule is your schedule – that’s because of the highly flexible appointment hours that we offer our clients albeit an affordable rate for these quality services. Hurry now; hire one of our experienced ‘wills and trust’ attorneys San Diego, CA at our office address as seen below.